In the abstract, the Aftermath series is reminiscent of the prequel films. The first installment left a lot to be desired, the second chapter is a curious but rough read, and the finale sticks the landing well enough to earn a place on the podium. 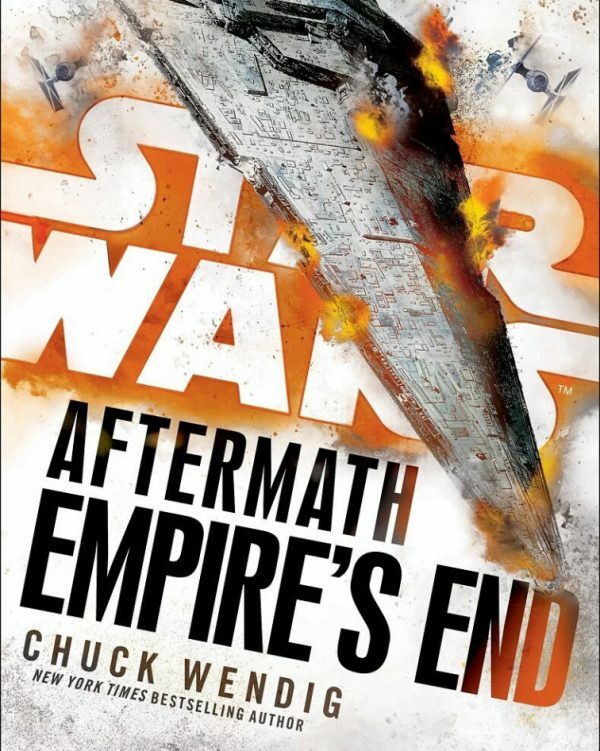 Star Wars: Aftermath – Empire’s End, the third and concluding novel in author Chuck Wendig’s trilogy that takes place following the events of Return of the Jedi and begins building an extended bridge to The Force Awakens. The attack on Chandrila during the organized peace talks between the New Republic and the Empire looms over the story like a dark cloud. Despite the emotional toll she’s undergone throughout the series, the resolve of Nora Wexley is an enthralling journey to follow. Tunnel vision towards the apprehension of the galaxy’s most wanted war criminal, Grand Admiral Rae Sloan, proves to be disheartening for those closest to Nora. While she’s not seething mad, her inner turmoil demands finality regarding this perilous situation.